Deere & Company of Moline, Ill., is recalling 25 Frontier wood chippers. The wood chipper’s knives (blades) can break and discharge, hitting the operators or bystanders, posing a risk of injury. 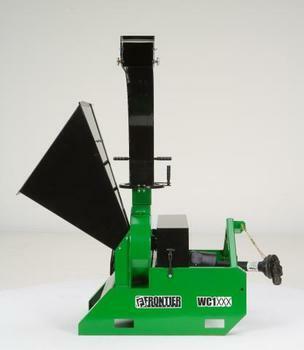 This recall involves Frontier wood chippers with model numbers WC1103, WC1105, and WC1205.The green and black landscaping machines have knives (blades) that grind up tree branches turning them into wood chips or mulch. The model number and “Frontier” brand name are printed on the side of the machine. The serial number is located on the inside surface of the right hand frame on the rear of the machine. The chippers, manufactured in the U.S., were sold at John Deere dealers nationwide from July 2017, through August 2017, for between $3,800 and $8,000. Consumers should immediately stop using the recalled wood chippers and contact a John Deere dealer for a free repair. John Deere is contacting all purchasers directly. Consumers may contact Deere & Company at 800-537-8233, from 8 a.m. to 6 p.m. (ET) Monday through Friday, and Saturday from 9 a.m. to 3 p.m. (ET), or online at www.deere.com and select Recalls on the drop-down menu under Parts & Services for more information.